Yesterday was the big showdown. 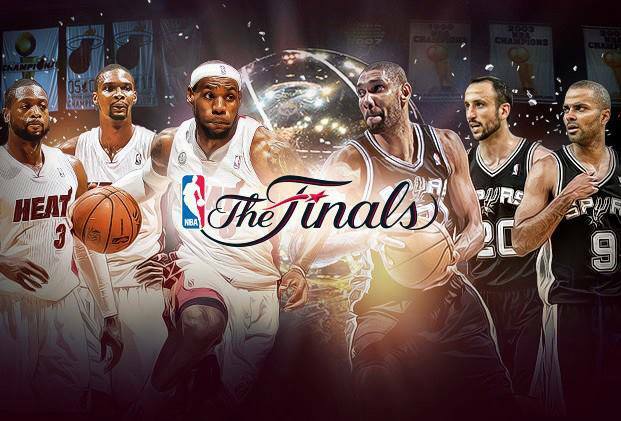 It was game 7 between the Miami Heat against San Antonio Spurs in the Finals of the NBA. It all came down to one match….and the Spurs lost. The loss never gets any easier. I should be used to it now having seen my football team (yes football, not soccer) Leeds United lose in two playoff finals. In fact on both occasions the days were a great day out unfortunately spoilt by 90 minutes of football and seeing my team come excruciatingly close only to not finish at the final hurdle. I was hoping I wouldn’t have to experience those emotions again last night but I knew it would be tight – Heat had the home advantage and we really should have finished it up in game 6. Yet here I am this morning contemplating what could have been and so almost was. The Spurs gave pretty much everything they had. Duncan was an absolute star throughout the entire playoffs but especially the finals. I was critical of Ginobli but on game 7 he came good, for the most part. Parker just looked too tired to me and Green had a real off day. In the end the Heat managed to do what we couldn’t…finish the game out. They deserved it in the end but it doesn’t make it easier. When the klaxon went and the lights lit up signaling it was all over I had a range of emotions. Saddened that we didn’t make it, upset for the players – especially Duncan who was after his 5th ring, angry at some of the little stupid decisions that really cost us and yet incredibly proud. We showed everyone who we were and what we are capable of. The defeat is hard but we’ll bounce back and hopefully come back stronger. Even Pop smiled at the end of the match….relief that it was over? I’m off to bed, goodnight. She and the team will need to take some time to recover. The emotions you experience when following your sporting team is just strange and epic but I wouldn’t have it any other way. For if you don’t experience the lows, you’ll never experience the highs. Well done Miami Heat on your back to back victories. Watch out for next year though – we’re coming after you! !